Part of spending time upstate this holiday with my children was the pleasure of having uninterrupted time together. No cellphones, or buses, no trains to run and catch. We went to cut down our own tree, brought in wood to feed the stove and gathered fresh water from the spring well. 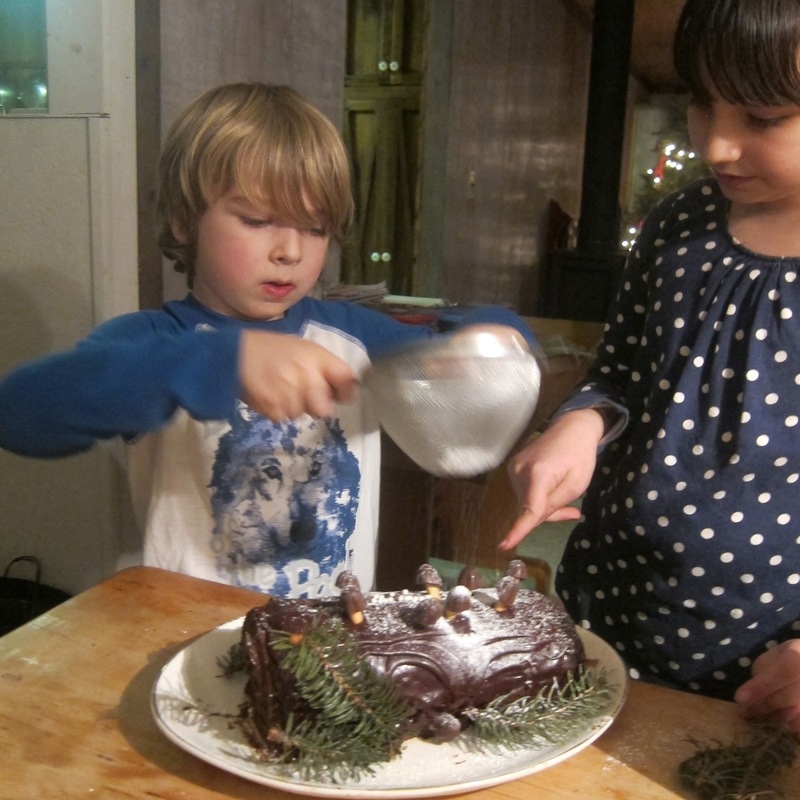 We also made a lot from scratch, including our first Buche de Noel (with only a hand blender!) and gifts to each other. What struck me was the attention that the children had in the craftsmanship of what they made. Jan would measure his design on Aya's american girl doll for her spy mask and cape, carefully considering how it would fall and tie on. Aya's king doll for Jan had a hand stitched fur trim and felt crown. As for the Buche, I think we were all in awe with how it turned out. One thing that stays with me, as the more I make with my children, is how much they are teaching me about being creative and being open to the unexpected.